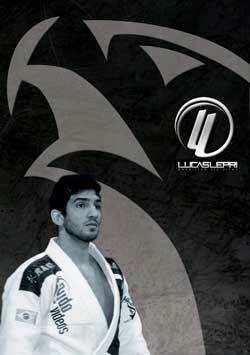 Andre is a second-degree black belt under Cia Paulista and a referee for the IBJJF. I met him at the 2012 No-Gi Pans after watching him compete and win. Later while we were standing around the podium, I asked him a few questions mostly about his wrestling shoed right foot. BJJL: What is wrong with your foot? Andre Glodzinski: My right leg is slightly shorter and has less muscle mass than my left. And I lost all mobility of my right foot. BJJL: Does it cause you any pain / discomfort? AG: Yes, my right leg has permanent nerve injury. I have hypersensitivity on the sole of my right foot. I’ve been learning how to deal with daily pain and discomfort for the past 17 years. BJJL: How did you hurt your foot? AG: When I was 17, I was in a severe motorcycle accident in Brazil. The motorcycle accident almost severed my right leg below the knee from my body. I was hit at a high speed by an oncoming car two blocks from my house in the early evening. I was not speeding. BJJL: Are you still undergoing treatment? AG: I am no longer receiving treatment for my foot. I would hope that as medical science advances, there will be some treatment available to me. The main problem with my injury is nerve damage as my leg was smashed; the nerves could not be reconnected. At this time, as far as I know, there is still nothing in science that can help. My hope is that in the future there will be some chance for genetic reconstruction. BJJL: Who is your doctor? AG: There was a team of doctors who saved my leg in the hospital at the time of the accident. The vascular, in the beginning, was the most important. I had two veins donated from my left leg to my right because the vein had been smashed. The doctor who treated me the most for my leg was Dr. Walter Targa, who used the “Halo” brace that allowed me to grow around 8 inches back of my bone. BJJL: How did you do at the No-Gi Worlds? AG: I took 3rd Place in the Black Belt Masters Heavyweight Division, losing to the Division and Absolute Champion, Rico Bastos. BJJL: Your base / balance at the No-Gi Worlds was exceptional. If I recall, in your first fight, you took down your opponent. You went into the second match standing too, was this always the game plan? AG: Actually, no. I am an intuitive fighter. I almost never make a game plan going into competition. I don’t know what I’m going to do until I go into the fight. When the first fight started, I was feeling good in the standup with my opponent and I was trying to stay ahead on “points.” My goal always is to make nice matches, good to watch, where I can show my technique, things I train every day. However, in the end, what counts the most is the order of the podium, not necessarily the best fights. We wish Andre nothing but the best and look forward to seeing him competing in 2013. Thank you Andre for taking the time to chat with us.